Panasonic has recently launched its new rugged detachable laptop in India. The new Panasonic laptop is dubbed as the Panasonic Toughbook CF-33 2-in-1 which comes with a price tag of Rs 2,70,000. The Toughbook CF-33 was first introduced at the MWC 2017 trade show earlier this year. 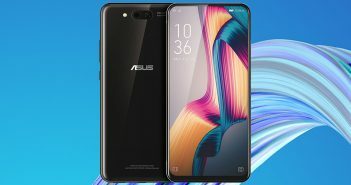 Now, it will be made available in the Indian market. 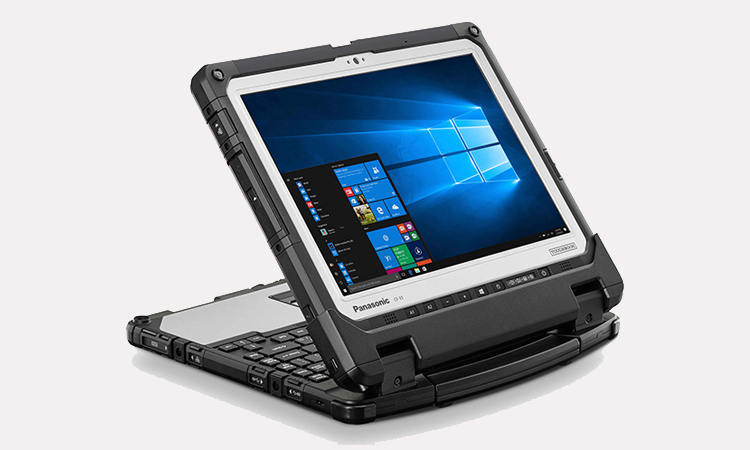 Panasonic claims that its latest rugged laptop is ideal for Police, government agencies, defence, emergency services, maintenance & service technicians, and field service workers. Furthermore, the device is touted as the world’s first laptop to come with an aspect ratio of 3:2 featuring a QHD (1440×2160 pixels) screen. Moreover, it is a fully rugged laptop and can be detached to use it like a rugged tablet. The Toughbook CF-33 features a 12-inch QHD (1440×2160 pixels) display with an aspect ratio of 3:2. It is claimed to be the world’s first fully rugged laptop with 2-in-1 detachable feature and 3:2 aspect ratio. The laptop runs on the latest Windows 10 OS and drives power from a 2.6GHz Intel Core i5-7300U vPro processor. It is the latest Panasonic laptop in India that boasts 8GB of RAM and 256GB SSD storage. It weighs 2.76 kg. 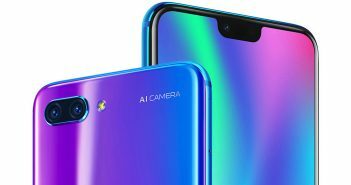 On the camera front, there is an 8MP primary rear camera alongside a 2MP webcam for video calling. 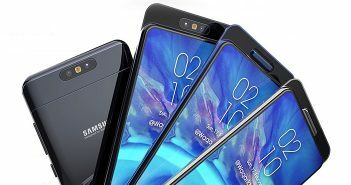 The connectivity options include 2x USB 3.0, USB 2.0, HDMI, VGA, LAN, Serial, as well as SD-XC ports on the keyboard dock. 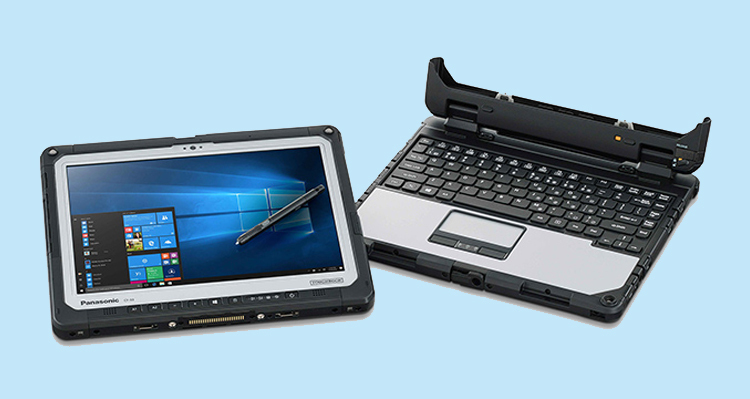 Additionally, the Toughbook CF-33’s tablet configuration includes USB 2.0 port, fingerprint reader, Serial, Barcode reader, and Smartcard reader. The tablet configuration comes with USB 3.0, LAN, SD-XC, HDMI, and headset ports. The laptop has stereo microphone setup. 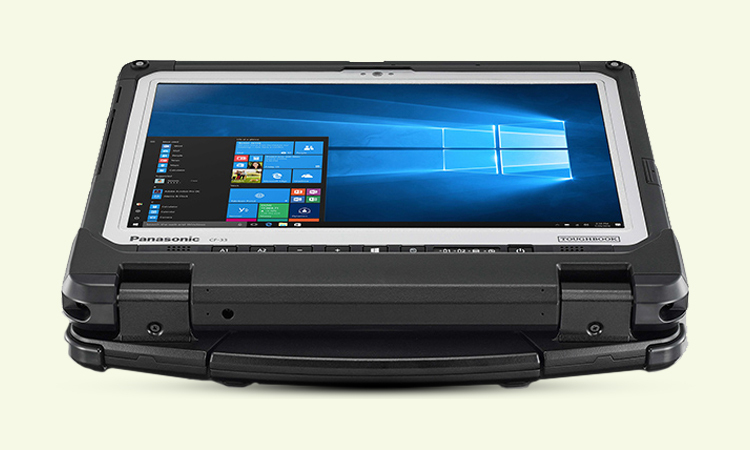 The Panasonic Toughbook CF-33 comes with IP65 ratings which ensure drop-resistance of up 120 cm. Furthermore, the chassis of the laptop is made up of magnesium which adds sturdiness in the laptop. The keyboard dock also comes with IP55 digitiser pen which is competent to be used in toughest weather conditions. The digitizer pen is ideal for writing, giving signatures, or working with accuracy. On the other hand, the 2-in-1 detachable feature allows the laptop to be flipped around, detached and re-attached effortlessly in all conditions without any compromise in functioning.